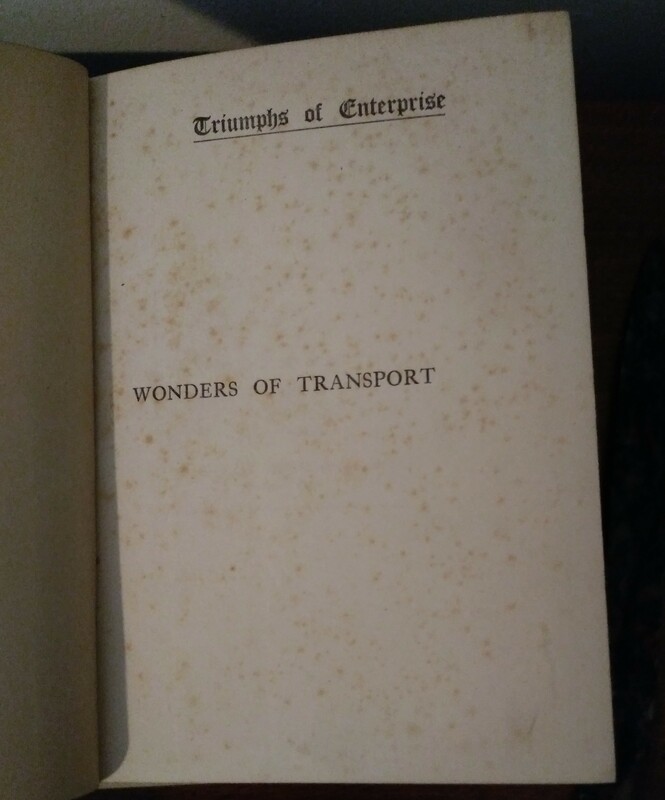 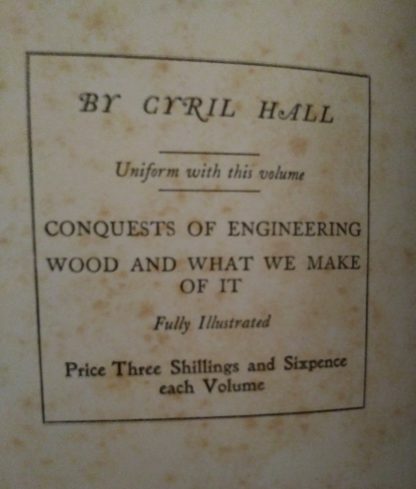 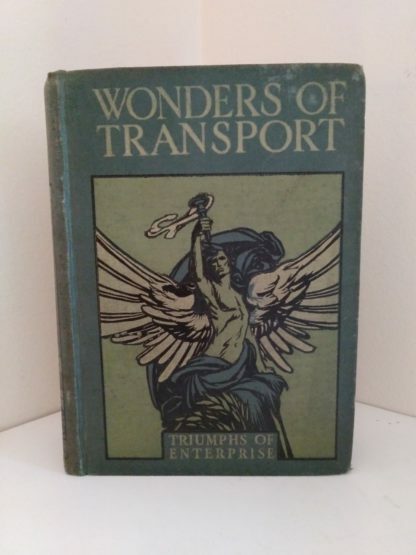 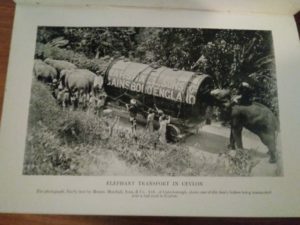 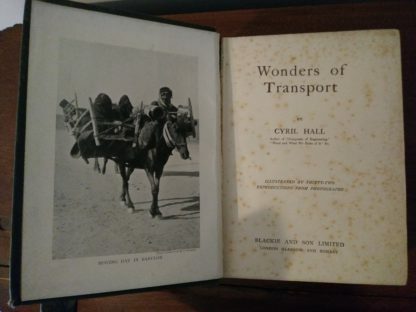 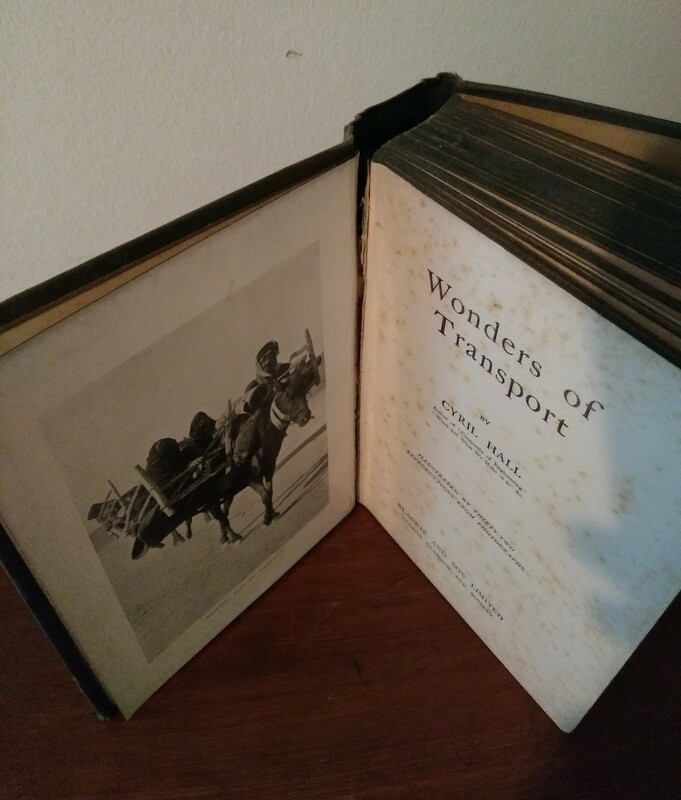 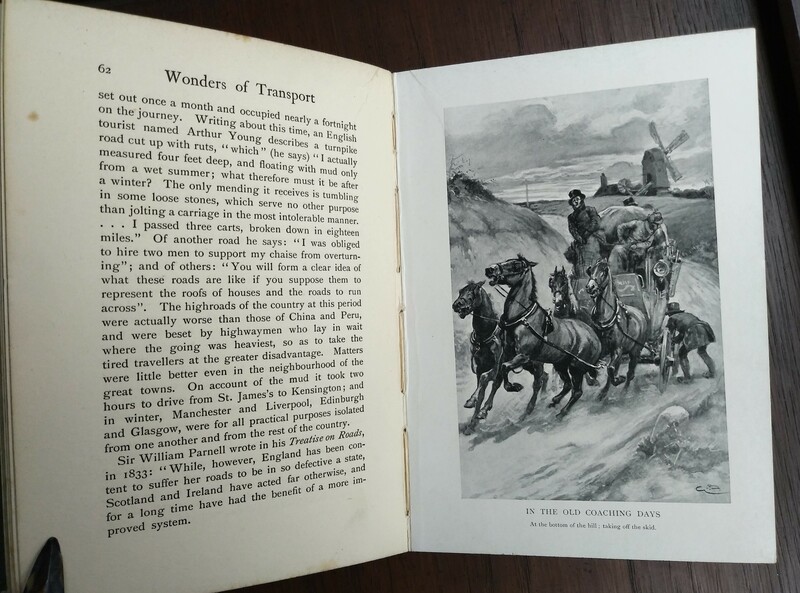 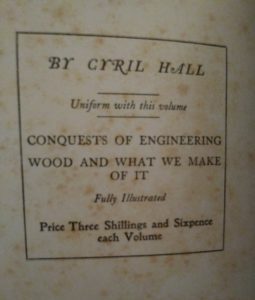 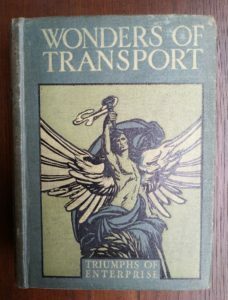 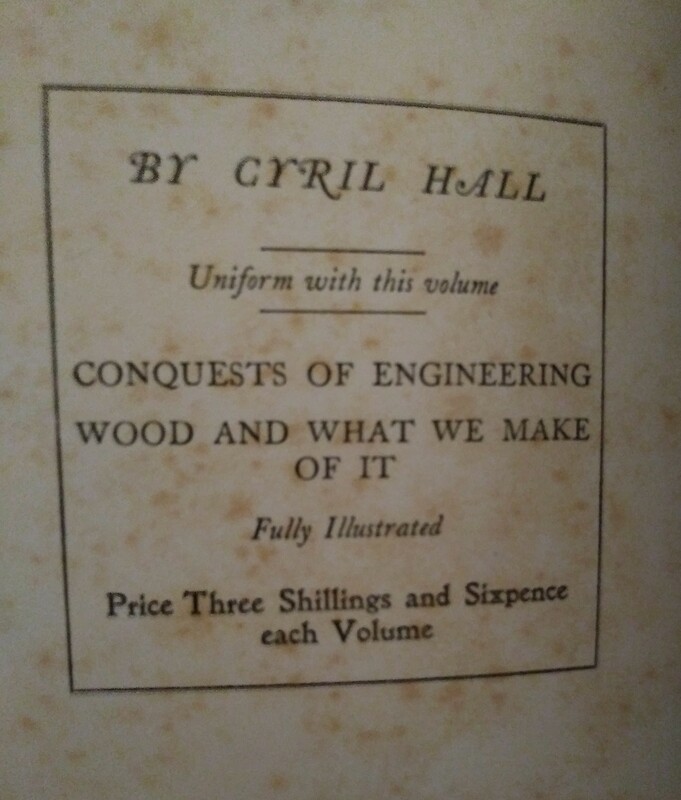 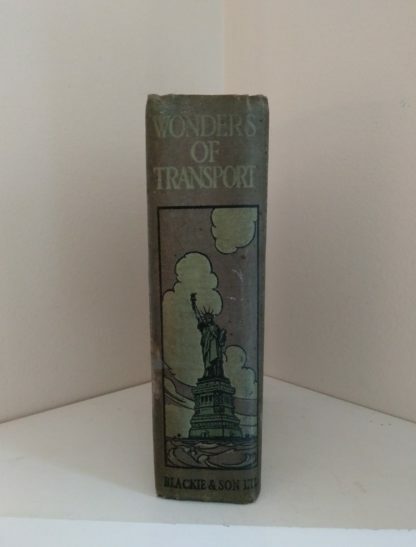 Wonders of Transport by Cyril Hall, part of a series, Triumphs of Enterprise. 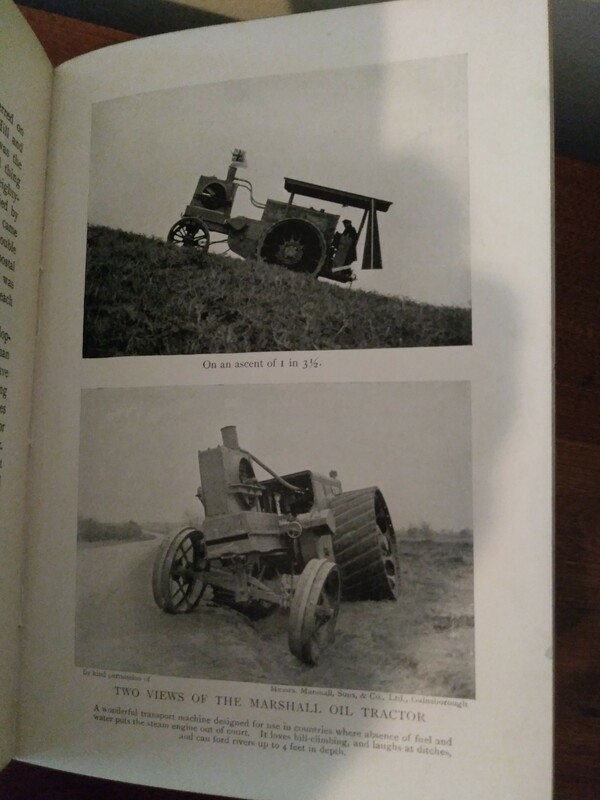 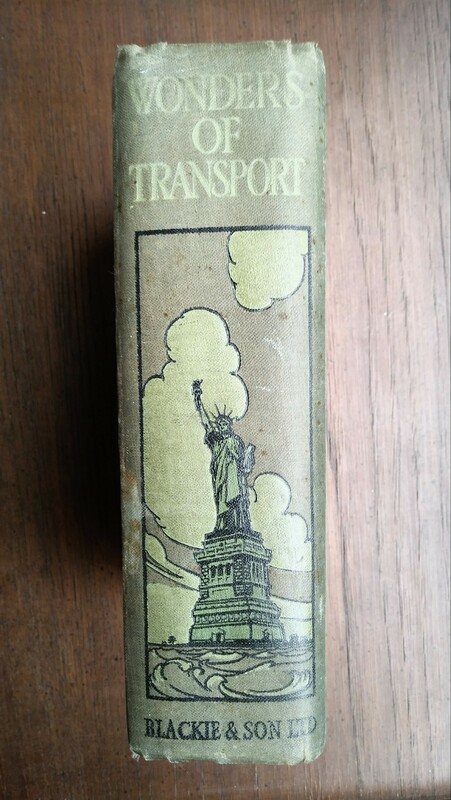 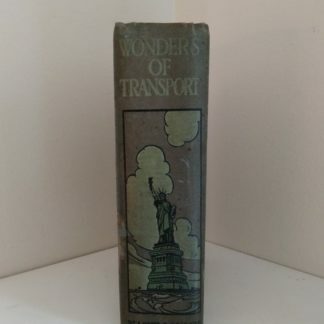 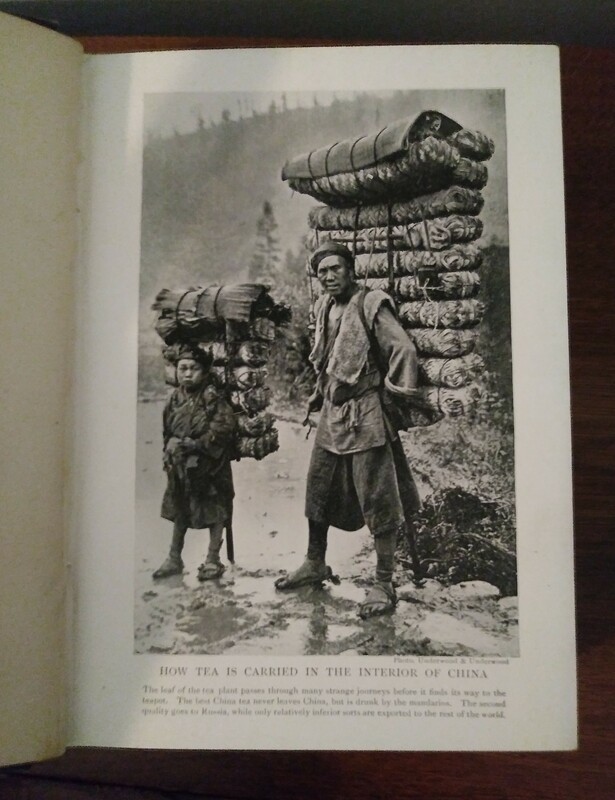 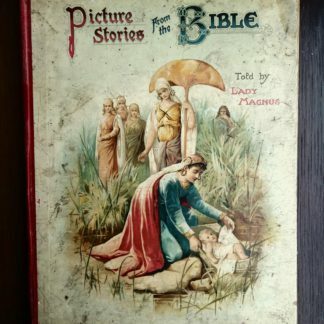 Not dated but published in 1914 by Blackie and Son Limited, This is a First Printing and First Edition. 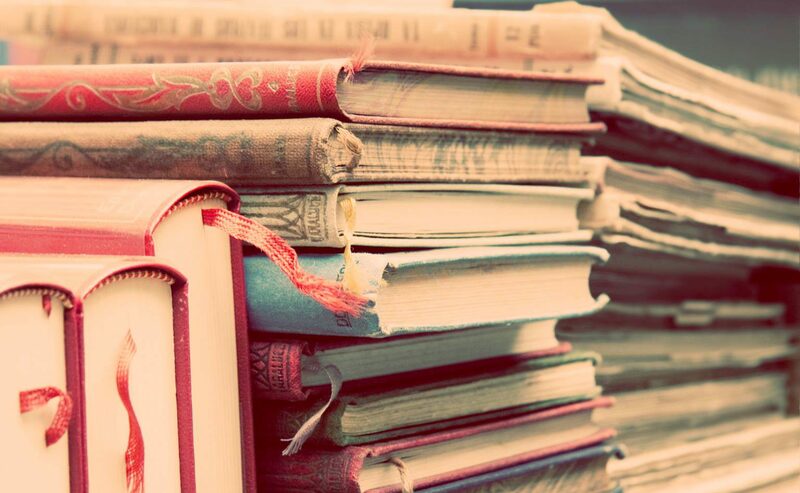 Because of its historical information the University of Michigan put it into digital form. 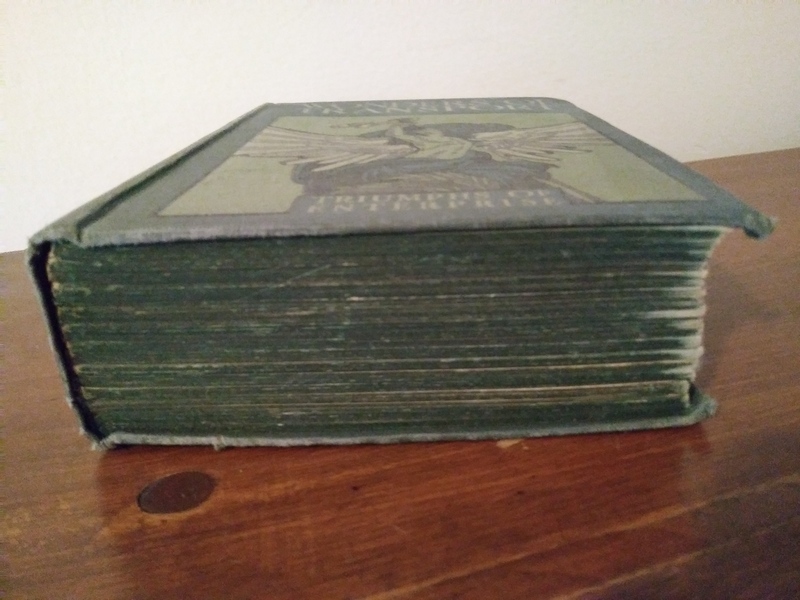 The binding has a lot of charm. 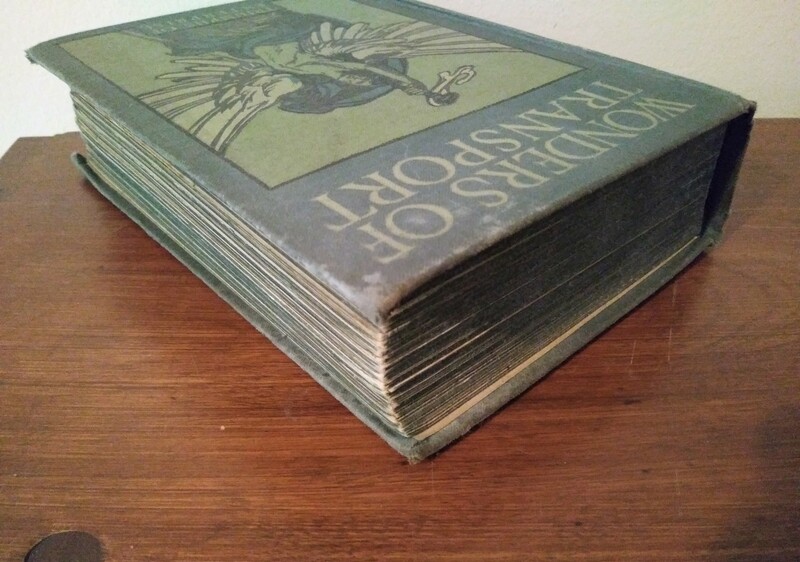 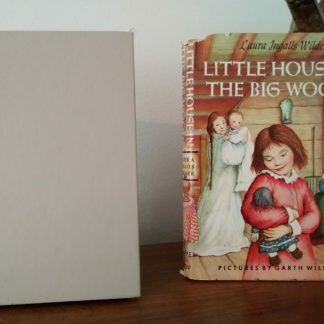 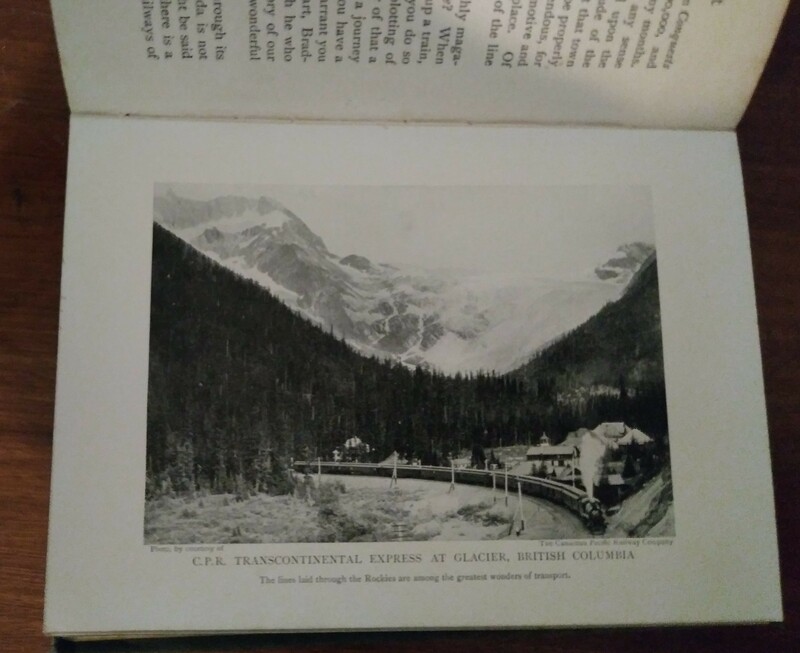 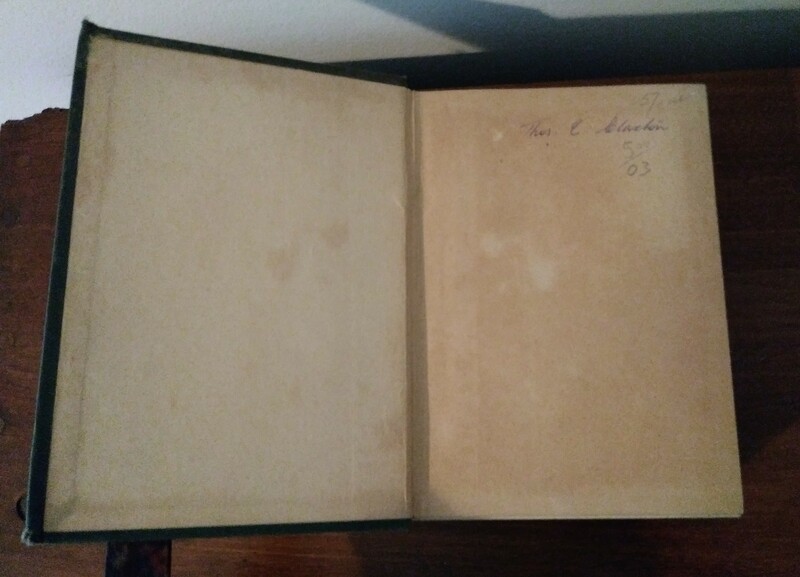 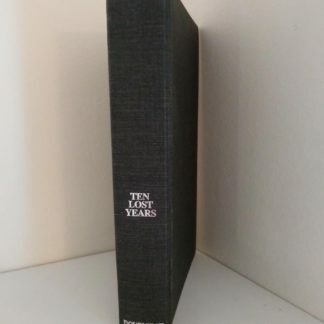 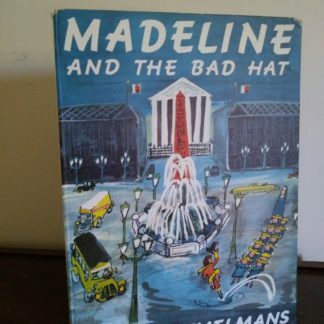 The book is in good condition other than a separation from binding adjacent to title page. 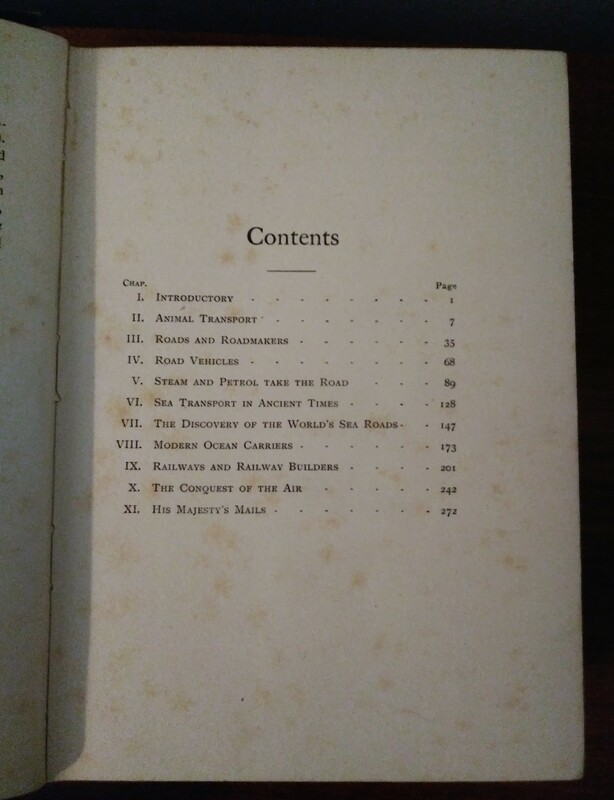 All 286 pages are still present and secure. 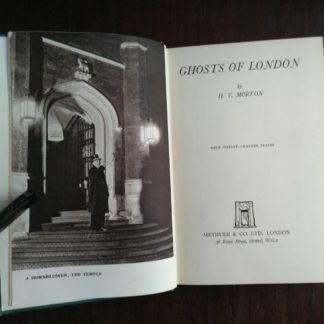 Library in 1929 with additional volumes.